Here’s a complete Bali waterfall guide to the most spectacular waterfalls in Bali, and there are so many of them. 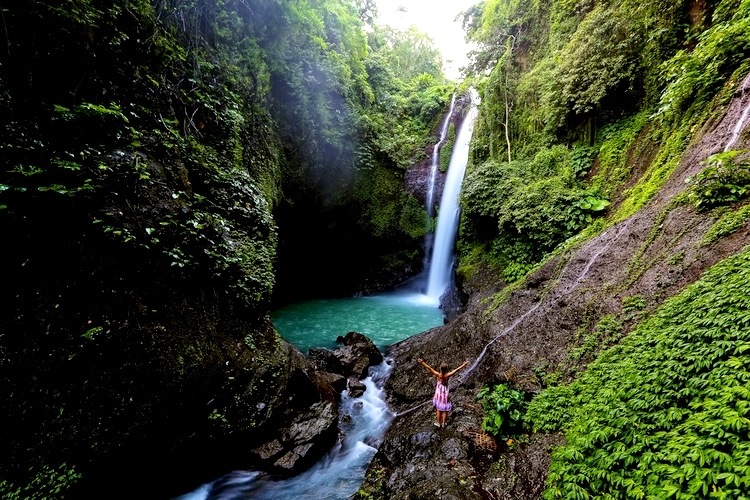 No wonder why chasing waterfalls in Bali is one of the most popular things to do here! Before we went to Bali I made a ton of research about hidden Waterfalls in Bali and found several that are worth mentioning and visiting. 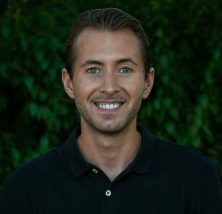 To make things easier for you and save time, I’ve made this list with my favorite Bali waterfalls and how you can get there by scooter or car. Exploring all of the best waterfalls in Bali will not be possible in a single day, but don’t worry I have made a lot of research to make these day-by-day Bali Waterfall routes and put together a smooth itinerary. 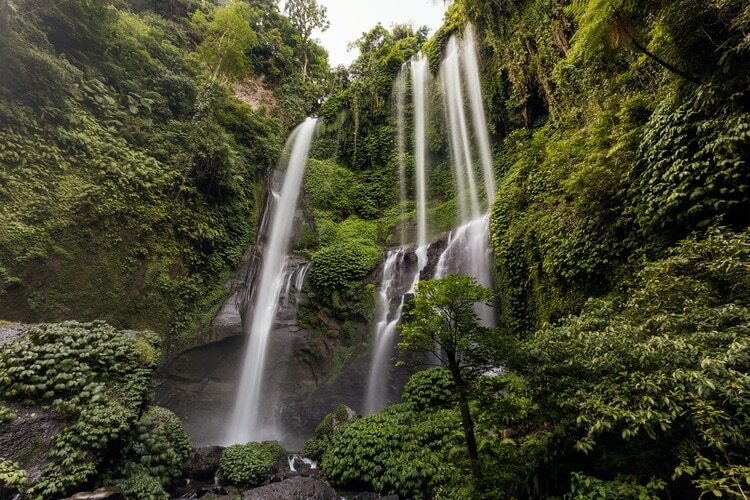 The Bali waterfall route is a list of suggestions based on how closely located the different waterfalls are between each other. 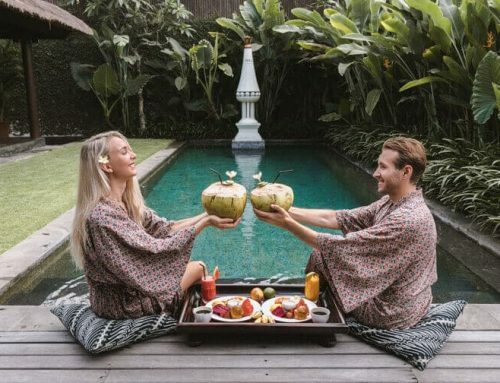 Most people who’re chasing waterfalls will start from Ubud, so this list will start from Ubud, but you can also skip Day 1 and start in the northern part of the island where most waterfalls are located. I suggest you start this trip from either Ubud or Sanur. You can also drive here from Kuta or Seminyak in about 1 hour. Go by scooter or hire a driver. If you start from Ubud, you will have just about 25 minutes before you reach Tegeungan Waterfall, and you need to go here early if you don’t want people all over the place. It does get pretty crowded, and it’s one of Bali’s most popular waterfalls. The other ones are not as popular, even though they are also gaining more exposure in Social media and thus becoming more famous. This route will take about 3 hours to drive in total from Ubud and back to Ubud with each stop included. 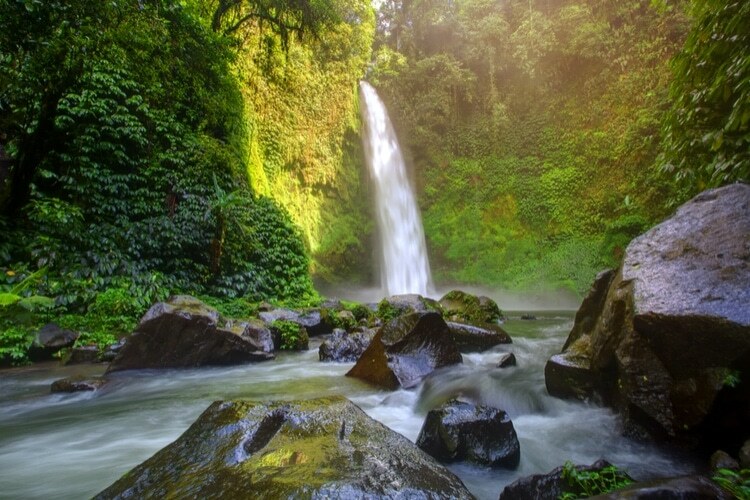 So, you will have plenty of time to enjoy each Bali Waterfall. For this part, it would be best to have your accommodation somewhere around Munduk or Singaraja. Go by scooter or hire a driver. About 4 to 4.5 hours of driving, which means that you will need about 8 hours to really enjoy the places and walk to each Bali Waterfall. 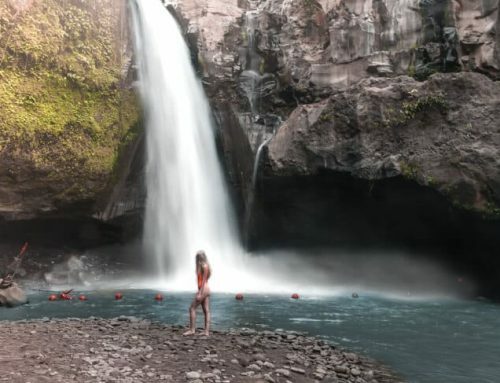 Obviously, if you skip Nung Nung it will be a lot shorter distance to drive, but it is a spectacular place, so if you have the energy for a full day of chasing waterfalls in Bali, go for it! This route can be done easily from either Munduk or Singaraja, but I would probably say that Munduk is a more convenient option for day 2 and 3 when you go chasing waterfalls in Bali. In the map below you can see the route highlighted. 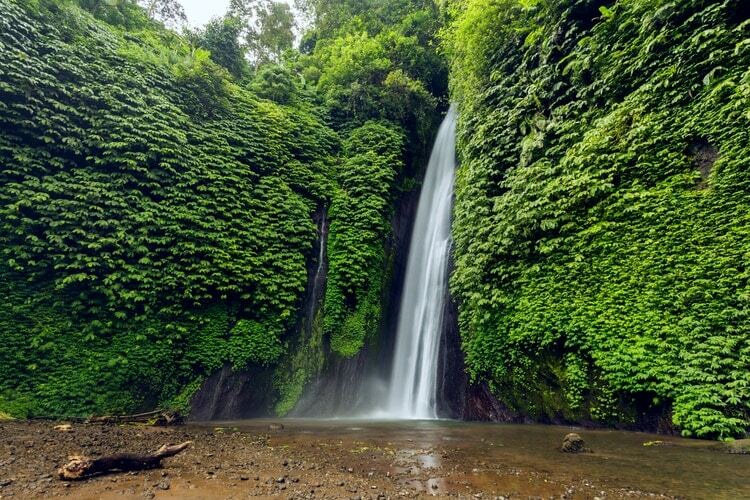 This is the quickest route to visit these Bali Waterfalls in one day. The driving time will be approx 3.5 to 4 hours, so you need to put away a full day for this adventure. The best possible way to get to Bali’s waterfalls will be by renting your own scooter or hire a driver. Tours are also offered to some places, but I would rather recommend hiring a private driver if you’re not keen to drive a scooter. It’s inexpensive and many chauffeurs are funny and have great local knowledge. 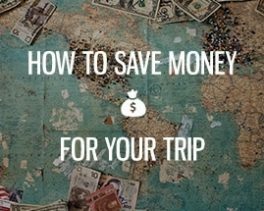 The cheapest way to get around is to rent a scooter unless you’re 4 or more people traveling together. If you do choose to go by scooter, always put directions into Google Maps and download, so that you can access them even though you don’t have internet. Most of the famous waterfalls in Bali are located on the map, at least the parking area, and then there will also be signs. 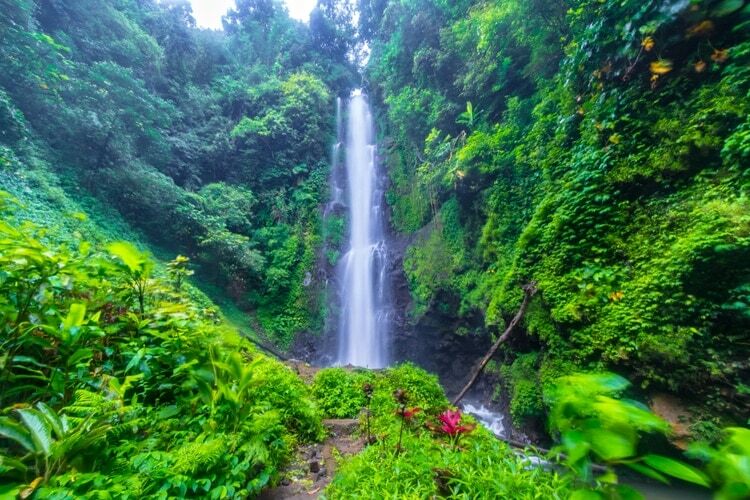 Some of the mentioned Waterfalls in Bali are very famous and popular tourist attractions, but a few of them are also hidden Bali Waterfalls that are harder to reach or not as well known. 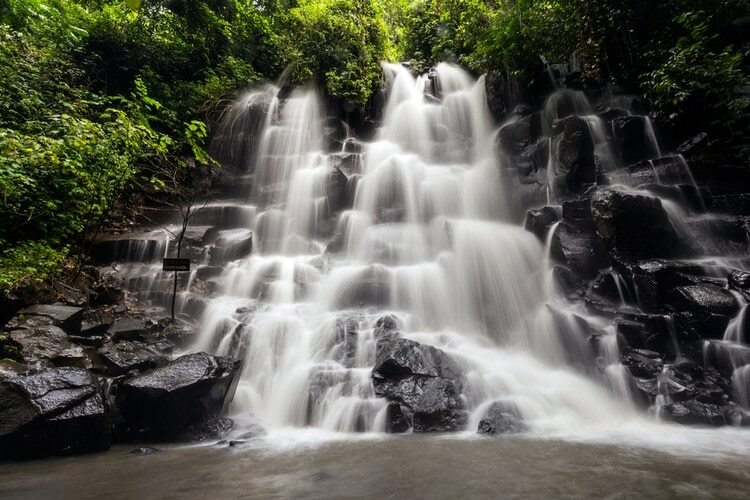 One of the most accessible waterfalls in Bali, just 25 minutes drive from Ubud. This is also one of the few Bali Waterfalls who isn’t located high up in a mountainous area. Not one of Bali’s tallest waterfalls, but still amazing and well worth a visit since it’s just 30-40 minutes from Ubud. At Dusun Kuning, you will get true jungle vibes, especially if you come here early in the morning when there are no other tourists here. It’s fairly easy to get here from Ubud, and the hike down isn’t too bad since there are stairs of steel before you come down to the natural path leading to the water cascade. You can also go down to the water and go for a swim and just relax here. One of the most fantastic Bali Waterfalls out there, located inside a cave. 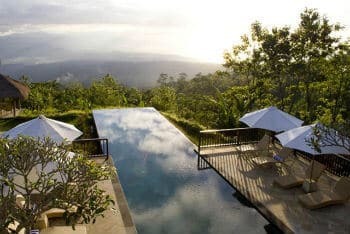 From Ubud, it will be about 40 minutes driving to get here, but you can also go here from Munduk as suggested in my Day 2 Bali Waterfall Route. However keep in mind that there will be 509 stairs to get here, which can be quite challenging if you’re not in good condition. Those who do go here will be rewarded though, so if you have the time and energy for Nung Nung, please go. Entrance fee is just 3000 IDR. Don’t forget to bring water, because you will need plenty even if you go here in the early morning. Here you can enjoy not only one, but two falls, hence the name Banyumala Twin Falls. 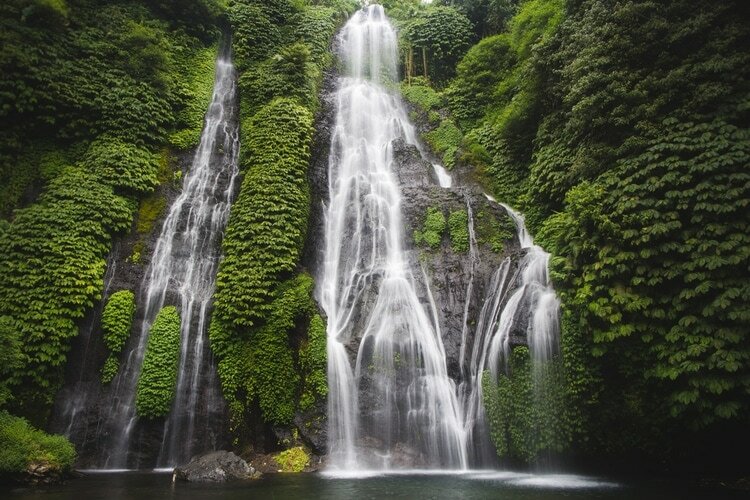 Just a short drive from Munduk and Banyumala Twin Falls lie this spectacular Bali Waterfall. A great place to finish off a long day before going back to your accommodation. A 50 meters high waterfall that’s tucked away in the lush coffee-region of Tabanan makes this place a great stop to just having some fun in the water and relax. This is one of the easiest Bali Waterfalls to reach in the north since it’s located next to the road. If you want photos without people in it, you better go here early, which is why I recommend beginning your day 3 with this one. Closely located to GitGit and often forgotten or ignored by tourists who visit GitGit, which is quite good for those who come here. Jembong is not like your ordinary Bali Waterfall, but instead a wide cascade where you can sit and just relax in the middle of the waterfall. 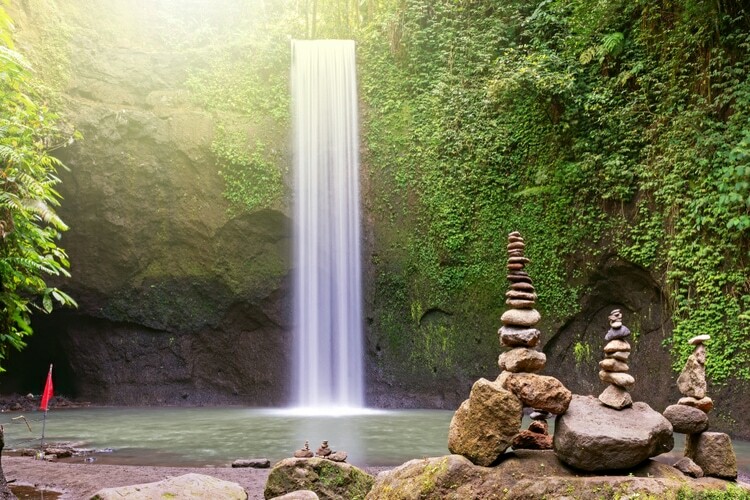 Follow Google Maps and you will have no trouble finding this hidden Bali Waterfall. The name actually means “group” in Indonesian, so Sekumpul is not just one waterfall, but instead several scattered around close by. 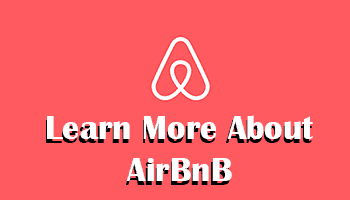 It will definitely help to have a local guide here, but you can do it on your own too. Sekumpul is located1-hour 1 hour drive from Munduk, and then you have an additional 45 minutes to hike down to get to the fall. 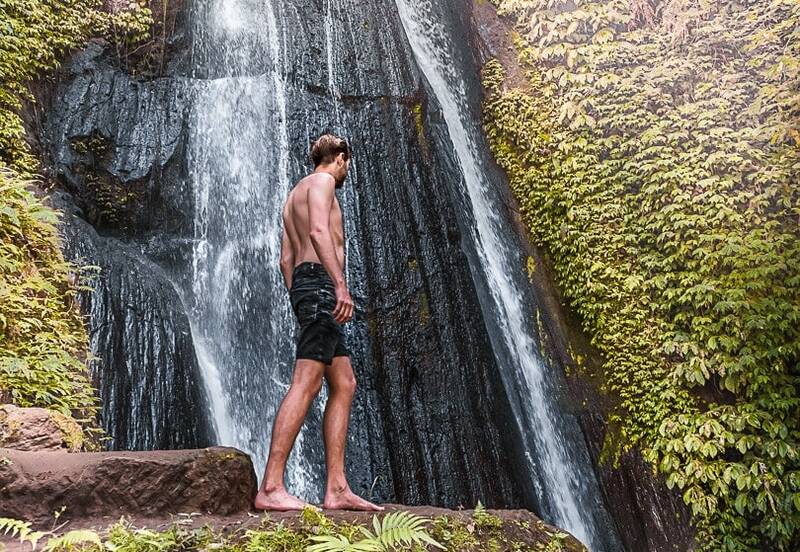 The hiking can be a bit challenging, so if you’re not fit I would choose another Bali Waterfall to visit. 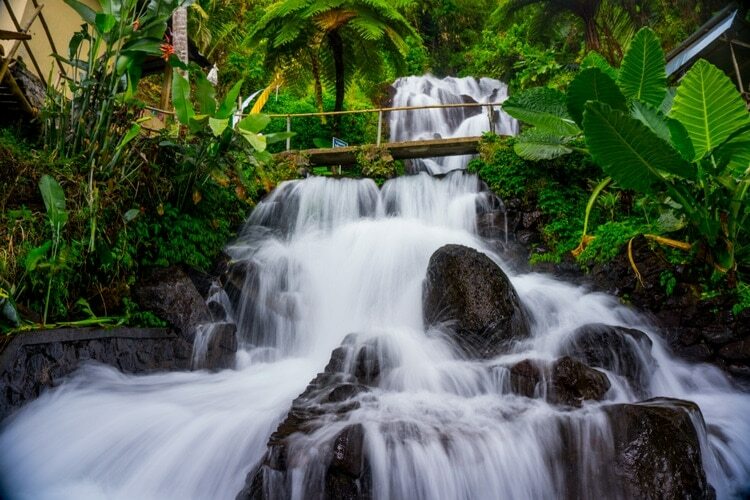 If you like a good old adrenaline rush this is a Bali Waterfall for you, also known as the Slip-Slide fall since you will be sliding down into the pool. Getting here can be a bit tiresome though, and it will include a lot of walking, but it’s very beautiful. 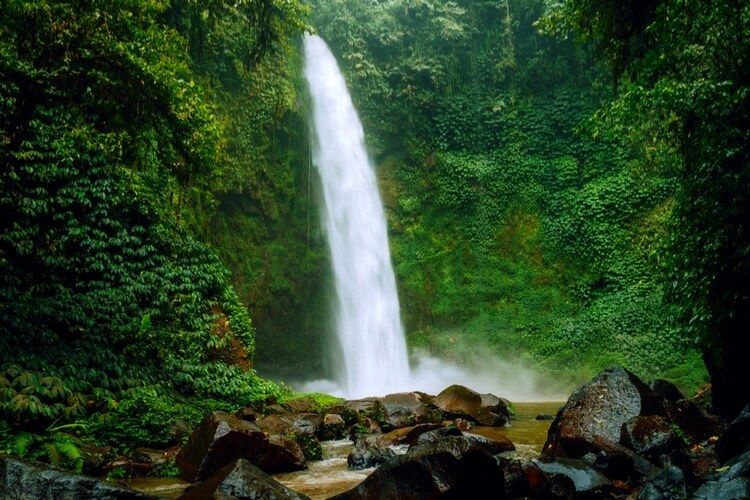 Aling Aling is also not just one waterfall, there are in fact 7 waterfalls in the area that you can explore. How to get here: Drive 22 minutes from Singaraja or about 1 hour from Munduk. Except for the ones in the itinerary there are actually a few more waterfalls that deserve a mention in the ultimate Bali Waterfall guide. However, these are either located far away or not close to the other waterfalls, which makes them a lot less convenient when you’re time is limited as a tourist. 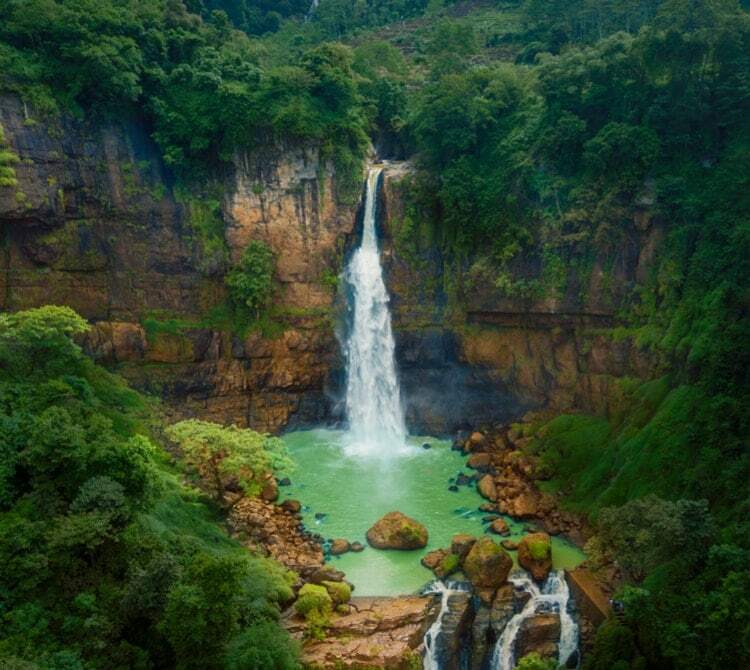 If you do live here, you should definitely check out some of these amazing Bali Waterfalls when you have time. 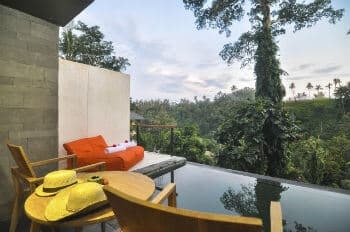 Below are two great hotels in Ubud and Munduk area, and you can click on the links to see more photos and read about each hotel. 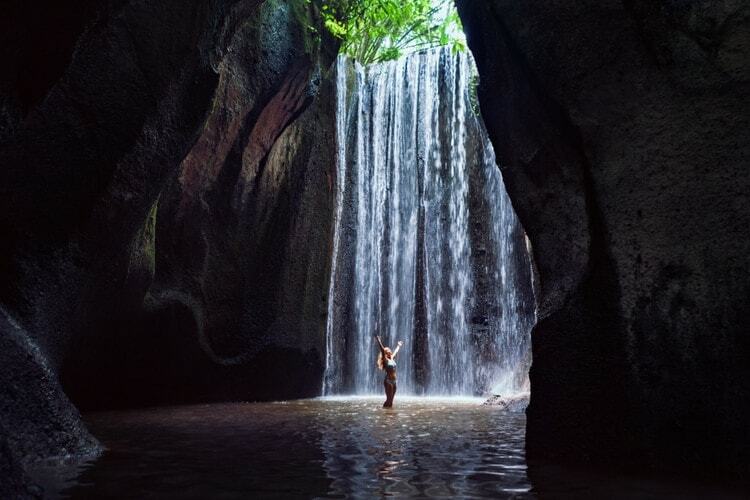 Do you know about more hidden waterfalls in Bali? Feel free to share in the comment section, and if you have any questions, let me know!